Do you need another flea & tick medication in addition to this or does this product take care of BOTH the heart worm issue AND the flea & tick problem? 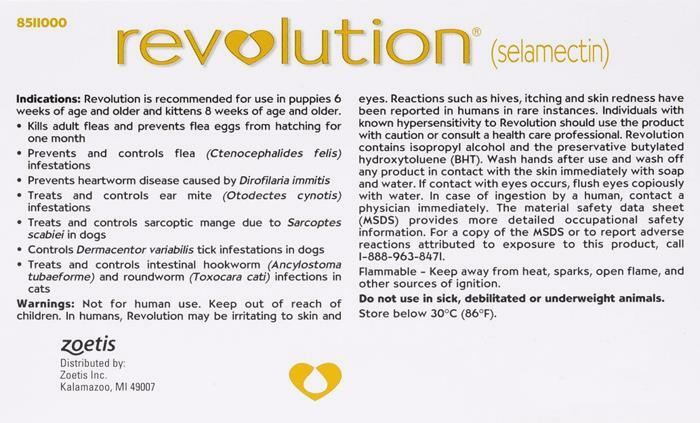 Yes, Revolution Pink Puppy and Kittens treats against flea, tick and hearworm. Is it safe to use Revolution and Comfortis on my 5 month old puppy? I have already given my puppy Comfortis and the fleas are relentless! Yes it is safe to use Revolution with Comfortis together. The ingredient is selamectin in Revolution and Stronghold products. What is the difference between stonghold and revolution? There is no different except the packaging. The same manufacturer (Pfizer) sell the same products under different Brands on different countries. Ingredients and formulas are exactly the same. Do I need a prescription to order this product?